Two way radio sales, service & rentals since 1982. 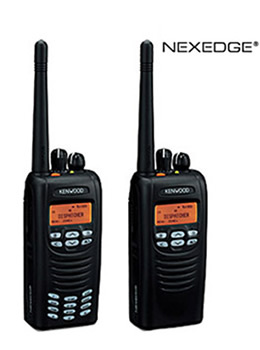 We are the authorized dealer and service center for Kenwood & Motorola two way radios, and we service other brands as well. 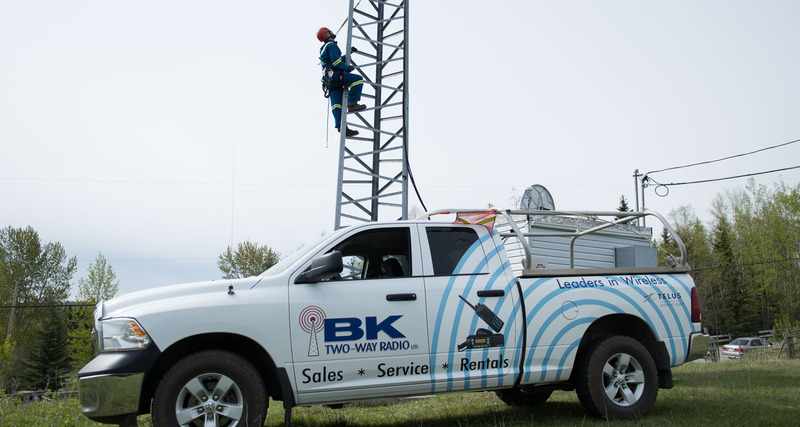 We have an excellent sales & service department, so whether you need a radio installed in your truck, or fleet of trucks, or need mountain top repeater service, or need to rent handheld radios, or need to have your radio serviced, we’re ready with a solution for you. For two-way radio sales & rental inquiries, contact Adam or Peter at (250) 562-4856 in Prince George, or Bill (250) 992-9007 in Quesnel. 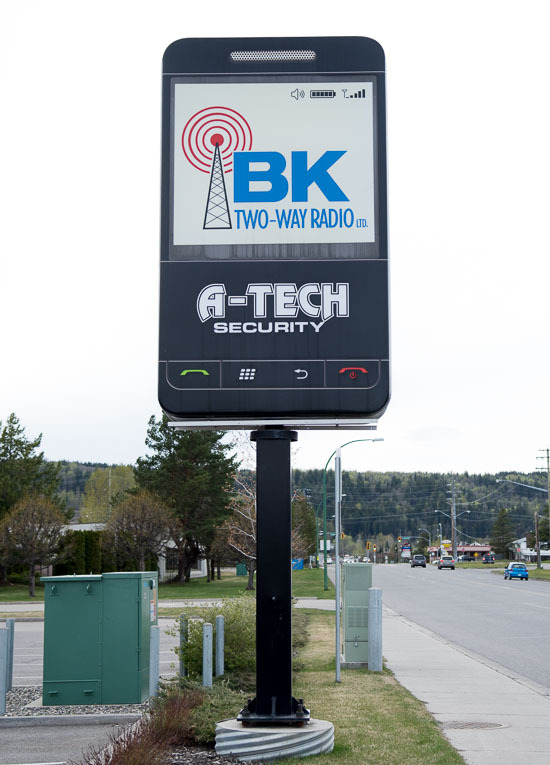 BK Two-Way Radio is the only communications company in Prince George with an 800 MHz trunking system. 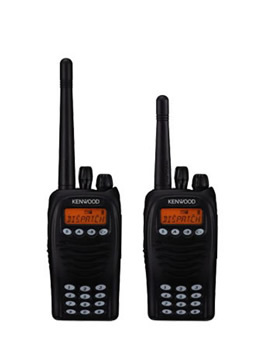 FRS Radios – We stock FRS radios, which are great for family outings or keeping in touch with friends. With ranges up to 5 km they’re great for road trips, or camping. Come in to any of our locations or give us a call. 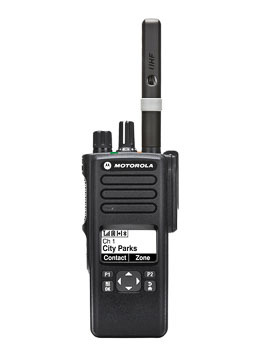 Rentals: We have Hand Held, Mobile Radio, and Satellite Phones available to rent. 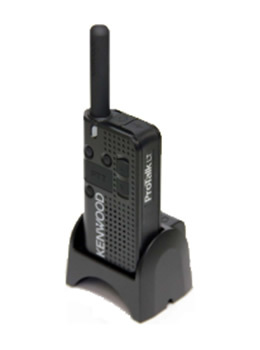 At only 3.9oz, Kenwood’s PKT-23 UHF two-way radio provides 1.5 watt transmit power, 4 channels, and up to 15 hours of operation. This small but powerful radio is simple to operate and durable, meeting or exceeding MIL-Spec standards 810 C/D/E/F/G (11 items) and IP54 (dust/water intrusion). Connect to the standard micro USB port to charge or use included charging cup, and plug Kenwood headphones into the 3.5mm audio jack for hands free operation. Versatile, strong, and small – the PKT-23 is built business tough. 4 channel capacity. Comes with antenna, battery, charger and belt clip. 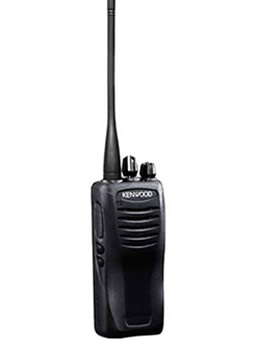 Kenwood’s TK-2402V/3402U portable radios deliver professional performance, enhanced features such as scan, built-in VOX, a long battery life, as well as a sleek design. Offering 5 watts of power and MIL-STD810 & IP54/55 weatherproofing, these portables have been expertly engineered to perform in the toughest of environments. 16 channel capacity. Comes with antenna, battery, charger and belt clip. The new TK-2312/3312 is thin and compact yet packed with features for intuitive operation, impressive performance, and all-weather reliability. 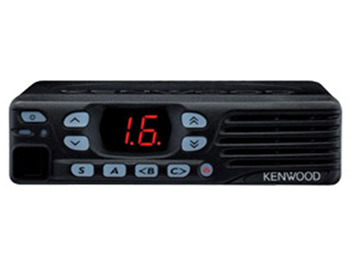 Front and side programmable function keys allow for customized convenience and Kenwood’s renowned audio clarity means the message gets through loud and clear. 128 channel capacity. Comes with antenna, battery, charger and belt clip. 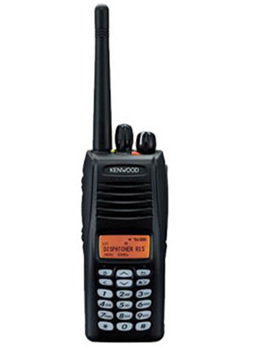 Kenwood’s TK-2170 VHF portable radio provides easy operation plus versatility and reliability in a compact yet rugged package. In addition to conventional channels, the TK-2170 is compatible with LTR trunking zones to facilitate mixed operation or migration between zones. 128 channel capacity. Comes with belt clip. 260 channel capacity (display version), 64 channel capacity (non-display version). Comes with belt clip. The new NX-200/210K2 portable is the latest addition to the NEXEDGE® lineup – designed specifically for users preferring a mid-size platform with a larger keypad. 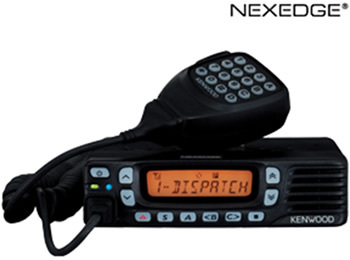 The NX-210K2 has the same NXDN® digital, analog, LCD display, PF key capabilities and transmit/receive specifications as the NX-200 and comes standard with a DTMF encoder with large backlit keys ideal for applications requiring frequent text messaging, selective signaling or interconnect. 512 channel capacity. Comes with belt clip. 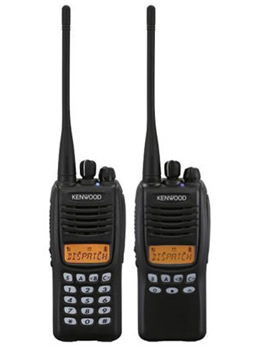 Kenwood’s new TK-7302/8302 delivers reliable mobile performance with extra wideband coverage (UHF: 70MHz) and such features as QT/DQT signaling, multiple scan functions and a voice inversion scrambler. 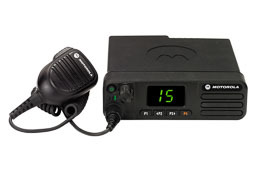 Yet this tough IP54/MIL-STD-compliant radio is decidedly user-friendly, providing high-quality audio, voice announcement, and a large display with adjustable brightness for simple operation, day and night. 16 channel capacity. Comes with mic, power cable and dash bracket. 128 channel capacity. Comes with mic, power cable and dash bracket. 260 channel capacity. Comes with mic, power cable and dash bracket. 512 channel capacity. Comes with mic, power cable and dash bracket. 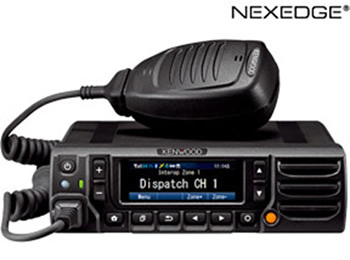 The new NX-5000 series radios from Kenwood are feature-rich, supporting NXDN technology and P25 phases 1 and 2 required by many public safety agencies. The radios feature a unique display, robust housing, built-in Bluetooth, GPS and encryption, plus an SD card slot for storing voice and data. 1024 channel capacity. Comes with mic, power cable and dash bracket. 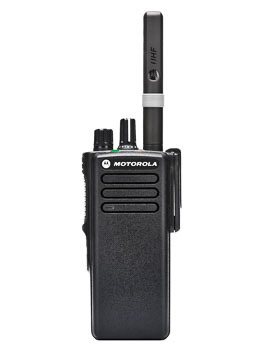 Versatile and powerful, MOTOTRBO combines the best of two-way radio functionality with the latest digital technology. 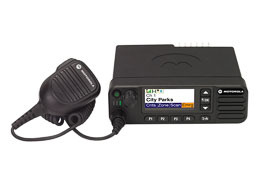 XPR 5000 Series radios integrate voice and data seamlessly, offer enhanced features that are easy to use, and deliver operations-critical advantages like integrated Bluetooth® and Intelligent Audio. 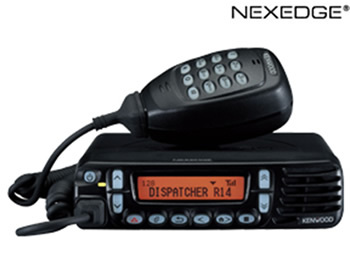 XPR 5000 Series radios are designed for the demanding user. They offer advanced features such as transmit interrupt, enhanced privacy and text-to-speech. Four programmable buttons on the front panel allow you to customize the radio for quick access to frequently-used features. 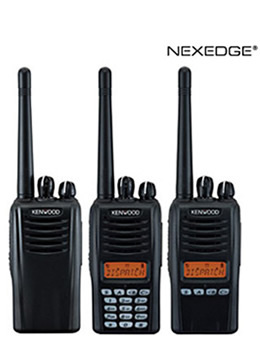 Offering a full set of features and rich functionality in one powerful device, the XPR 7000 portable radios are ideal for enterprises such as manufacturing, utilities, or transportation. 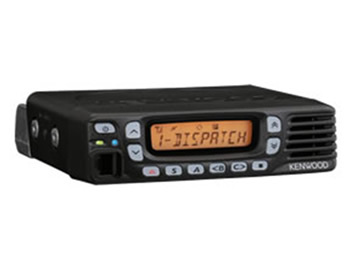 Delivering superb audio quality, full color display, integrated Bluetooth for audio and data, enhanced GPS, and text messaging, the XPR 7000 Series offers expert applications customized to your business. The series also features support for up to 1000 channels and up to 5 programmable buttons plus a dedicated emergency button. It also has an IP57 rating (dustproof and submersible in water), and optional UL-certified HazLoc rating to fully empower your demanding workforce. XPR-7350 (non-display): 32 channel capacity. XPR-7550 (full display): 1000 channel capacity. XPR 7000 Series radios meet the most demanding specs, including IP57 for water submersibility and U.S. Military 810 C, D, E, F, & G standards for exceptional durability. When equipped with the correct battery, the radio is certified for use in hazardous locations (HazLoc), where flammable gas, vapors or dust may be present. FM and UL approved versions are available. And it’s backed by a two-year Standard Warranty, one-year Repair Service Advantage (US)/Extended Warranty (Canada) and minimum 1-year warranty for batteries and accessories. XPR-5350 (numeric display): 32 channel capacity. XPR-5550 (full display): 1000 channel capacity.